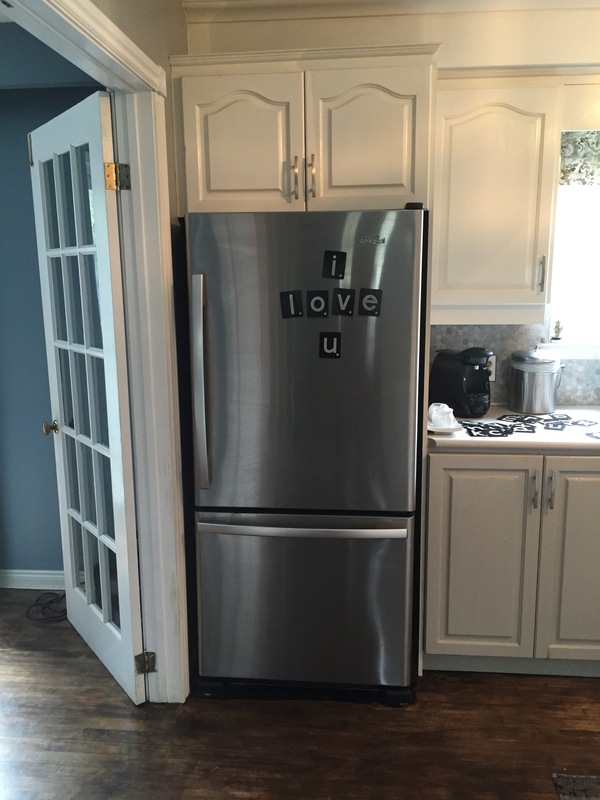 In general, I don’t like the look of a cluttered up fridge. I do have a whole bunch of junk from bills, to invitations, to appointment reminders, and all that other stuff. I like to keep that stuff hidden away behind a pantry door on a corkboard, but that’s a post for another day. Back to the fridge though. 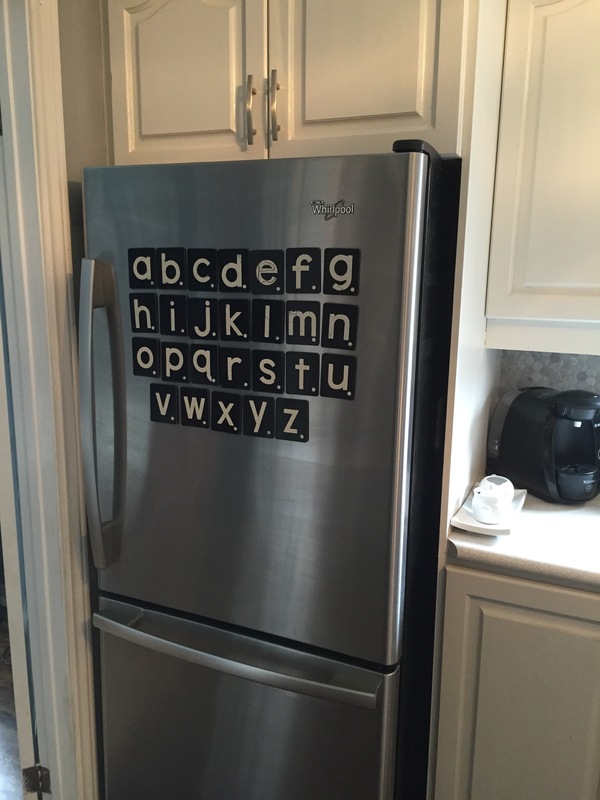 Here is my new take on the traditional alphabet letters on the fridge. Total cost: $4.00. I couldn’t help but be inspired when I saw these cute alphabet flash cards while on a thrift store excursion. 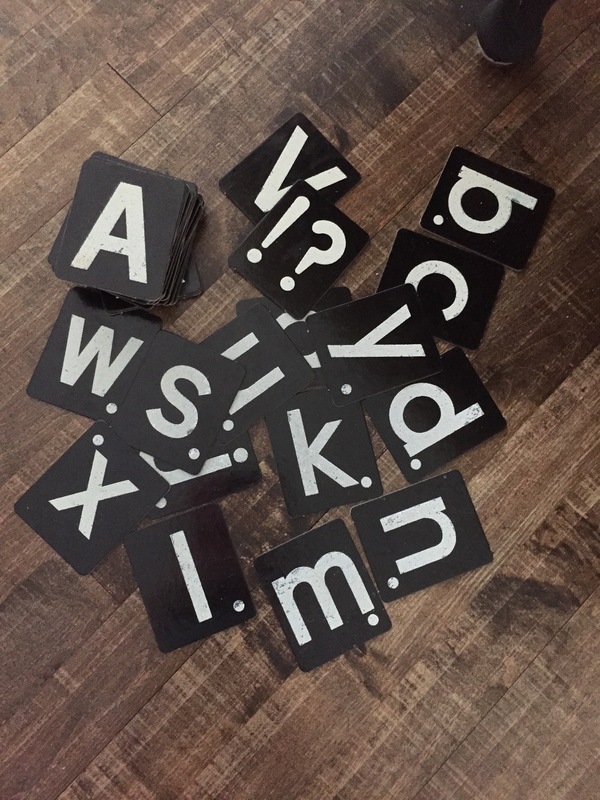 They cost $2.00, and I love that the white letters are kind of fading, which makes the letters look like they are written on mini chalkboards. 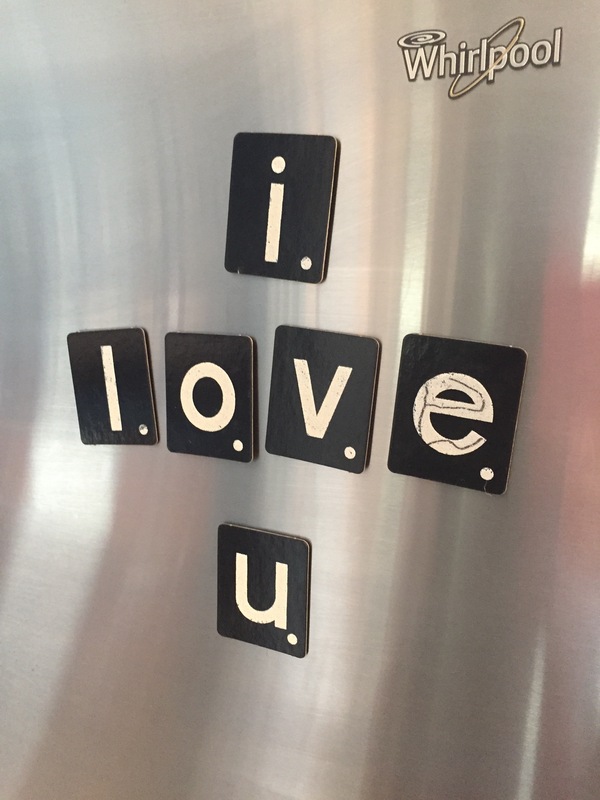 To make these flash cards into fridge magnets, I used two rolls of magnetic strips from the dollar store. Here comes the tricky part…… Are you ready????? 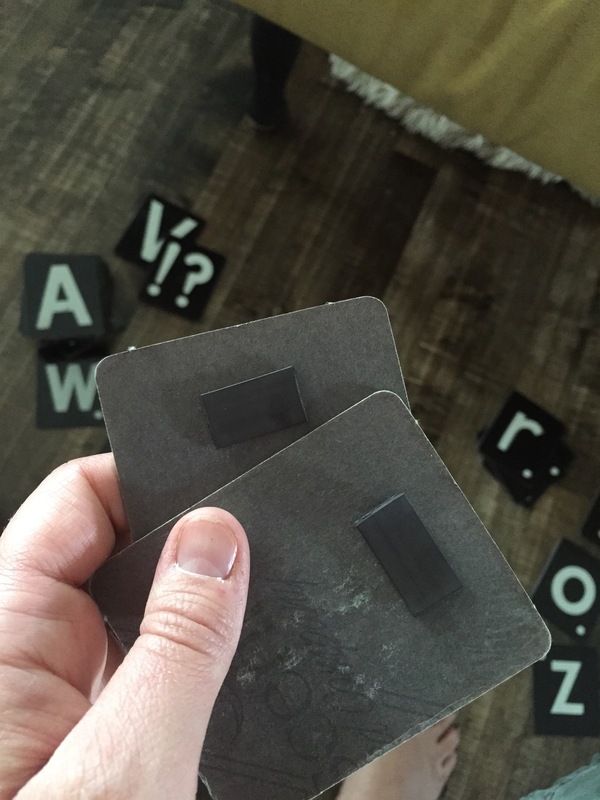 I cut them into pieces, then peeled off the back of the magnetic strip, and stuck it on. 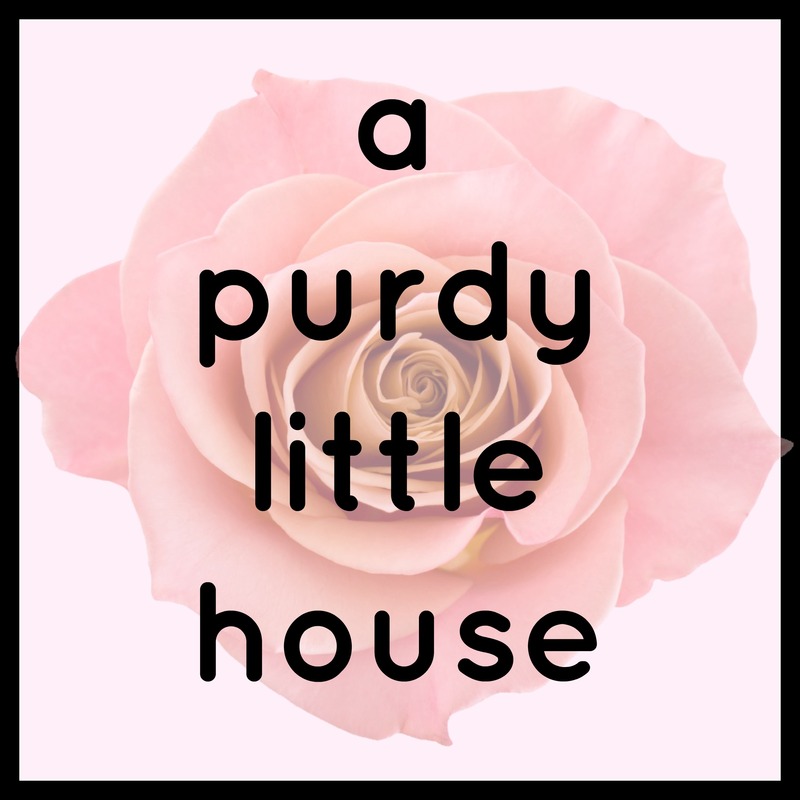 And….. Done. 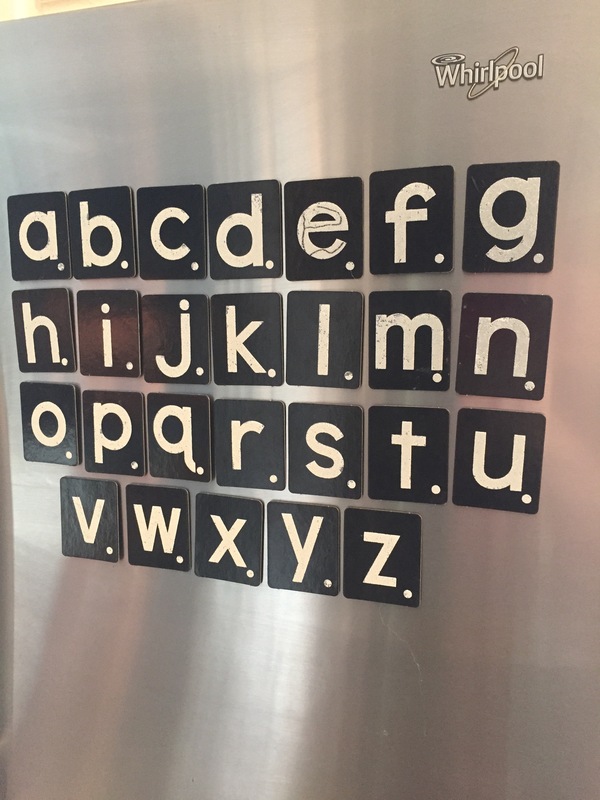 Here are all the letters in their place on the fridge. The set also came with all the upper case letters, but I like the lower case ones better. Here’s a close up of the letters. Looks like some little cheeky monkey drew all over the “e”. Lol. Oh well. I can even write fun little messages. 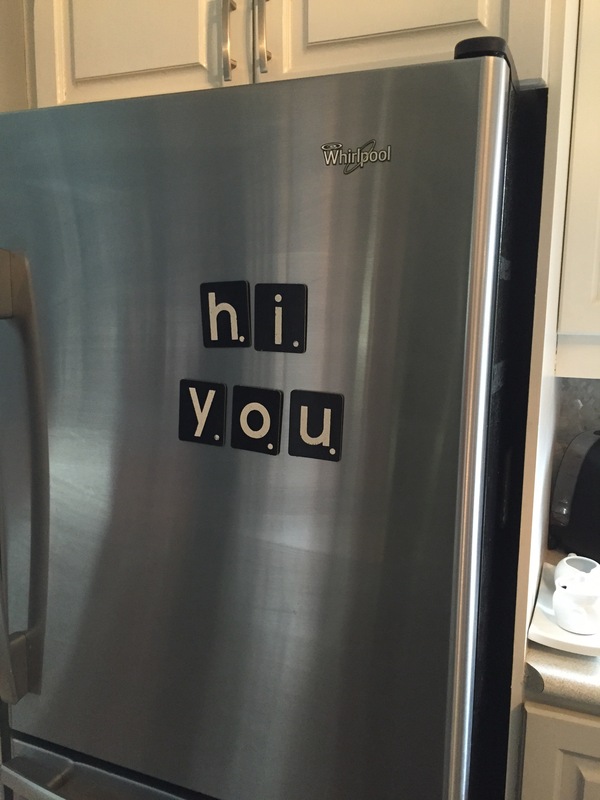 The fridge is basically the first thing you see when you walk into my house, so I’m excited for the family to be able to write fun messages with the new alphablet letters. That’s it for todays post. I’ll see you all again on Thursday for a special post all about Teacher Gifts.